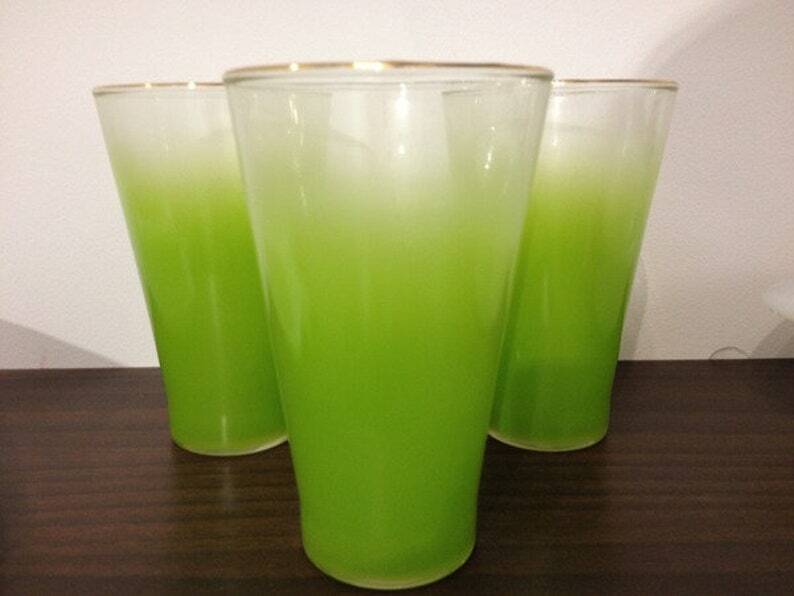 Vintage green highball glasses in Blendo style from the West Virginia Glass company. Gold rim. Set of 3 glasses. Each 12 oz. glass measures 5.25" tall.